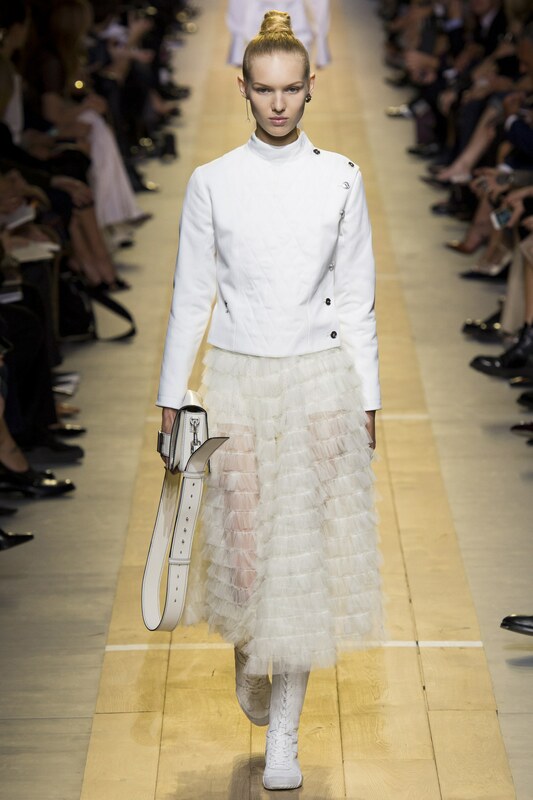 From white lace dresses to fringes long skirts, Christian Dior really amazed me for this year’s fashion week. He kept everything with pale colours scubas white, beige but also really gave an edgy look to all his outfits with a pop of black or monochrome colours. The skirts have so many small details on them, I really wish I could get one for myself, especially the ones above. 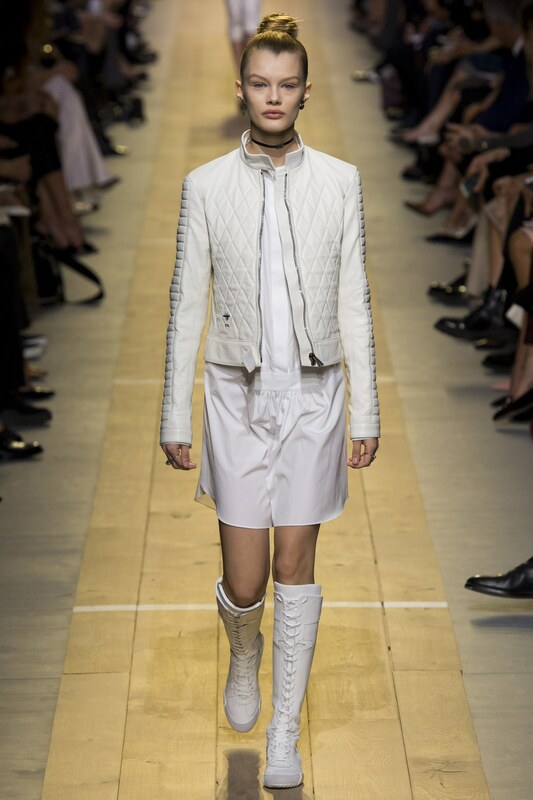 For the accessories, Dior didn’t forget to add thin black chocker on the model, to go back in time in the 90’s as well as cool white leather purses, that you can put around your shoulders or hold on the side. The shoes are super awesome, white, high up with lace details that makes them perfect on the leg. 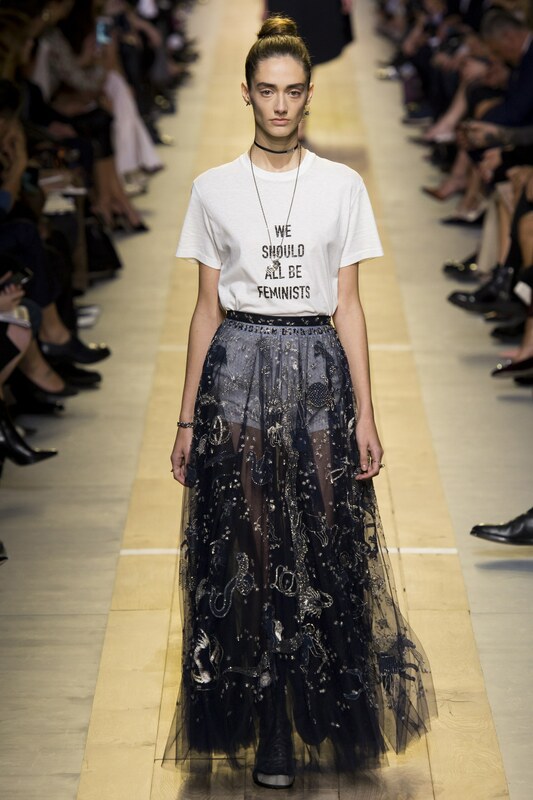 What is your favourite look from Dior’s collection this year? I actually wanted to send a small message so as to thank you for these unique concepts you are sharing on this website. My time consuming internet investigation has at the end of the day been rewarded with pleasant knowledge to go over with my family and friends. I would express that we visitors actually are very much blessed to live in a fine site with so many wonderful professionals with interesting tips and hints. I feel quite happy to have used your webpages and look forward to really more thrilling times reading here. Thank you once again for a lot of things.